How To Remove Malware From Hacked WordPress Site? 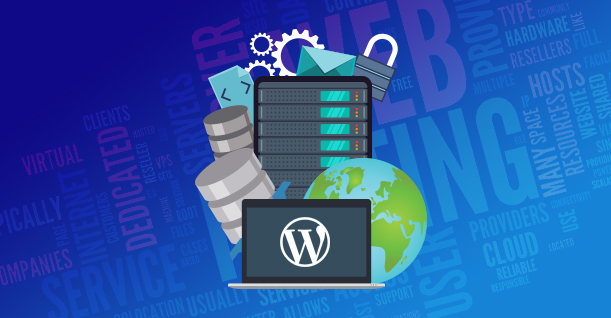 WordPress has become one of the most used tools worldwide when creating a web page thanks to the large number of templates and plugins that it provides, which allow practically anything to be done. Faced with this situation, it only remains to roll up your shirt and get down to work to solve the problem. 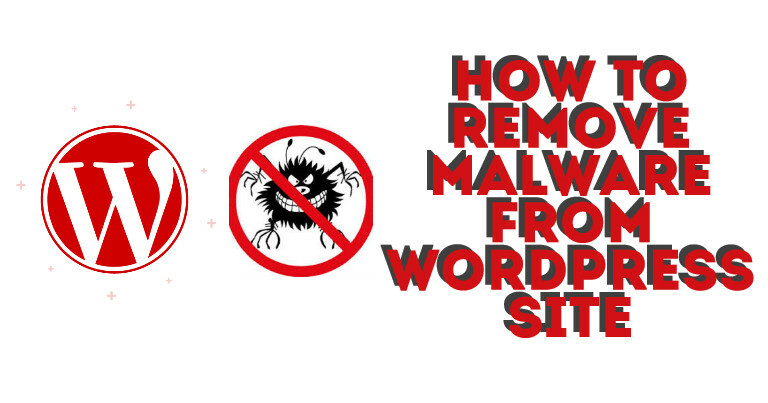 Throughout this article, we will see how to remove malware from WordPress Site. The security of a WordPress site is not to be taken lightly. Being hacked can happen to anyone and these 14 tips will help you to limit potential damage and Clean up Infected WordPress. When everything is working properly, you must take preventive action! The most important part to be protected against any type of threat is prevention, which means that we must take certain actions to remove malware from WordPress and secure our website. The main action that WordPress users should take is to always have their site updated with the latest stable version available, a new version usually fixes common WordPress Vulnerabilities detected in previous versions. In addition to this, it is also very important to do the same with the plugins we use, as well as eliminate all those that we do not use. Disappearance of information from our site. Once we have realised that our site has been infected with some type of malicious code, the first thing we must do is to detect what type of malware has infected us and which files are the ones that are infected. Also, some useful steps for finding and removing malware from wordpress website. To achieve this goal, we can make use of several options. 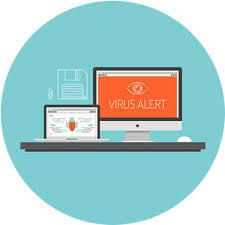 Another option that we can use to detect files that have been infected is to use an antivirus that we have installed on our computer. With an FTP program, we can download the entire site so that each of the files that are part of the web is analyzed in search of malicious code. Normally the antivirus is able to analyze the files while they are being downloaded, so once the download is completed we should only go to see the generated report to know which are those that have been designated as potentially dangerous. If the above options have not yielded good results or you do not like them, we can always use some of the online tools that we can find online and that are able to scan our site for malware. 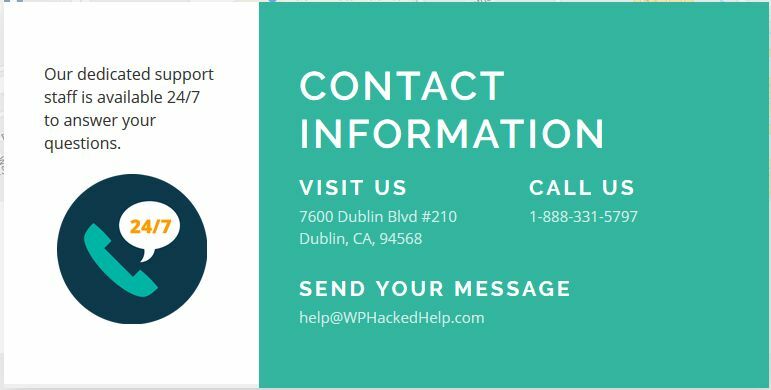 WP Hacked Help is among the most popular site which detects and remove malware from the WordPress. Once our entire site has been analyzed, WP Hacked Help shows a report with the files that have been infected. Within the online tools, we can also activate the Google Webmaster tool to consult its “Security problems” section where it will inform us about the type of threat we are suffering. 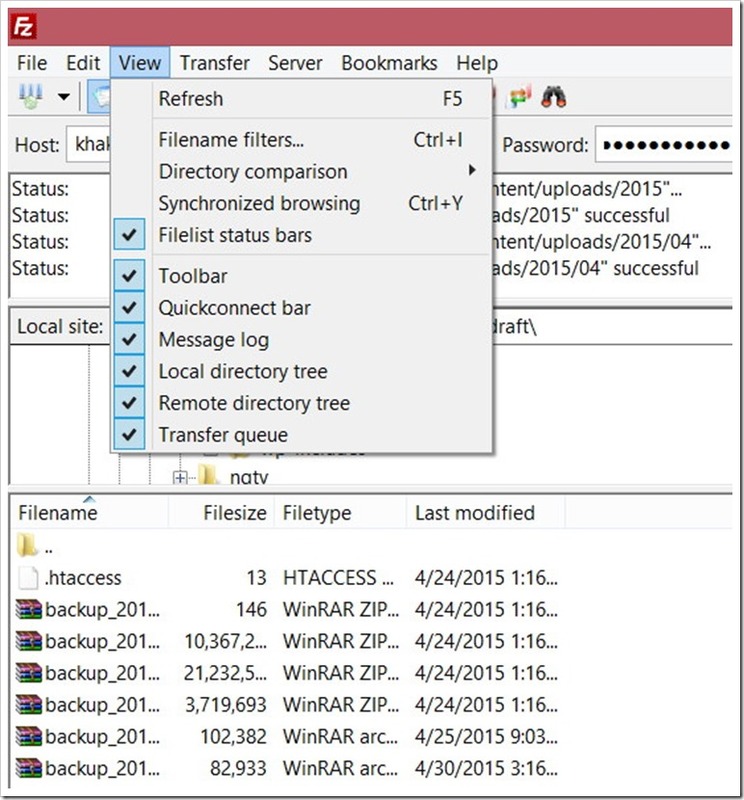 One of the fastest ways to detect potentially dangerous files is to access via FTP and sort them by modification date. Thus, in the first places will appear those who have suffered some type of change recently. If we have not changed anything in them, it can be a symptom that inside there is some kind of code that is causing the problem. The problem with this system is that you should go through all the folders that are part of the site to locate each of the infected files, a job that could be very tedious if the code has been inserted in a large number of files. You must scan the download folder for possible malware. Typically, the download folder does not contain any PHP files. So, delete all PHP files in a wp-content folder. Now, you may be wondering how to find all the possible PHP files in this folder because the size of your download folder is much larger. 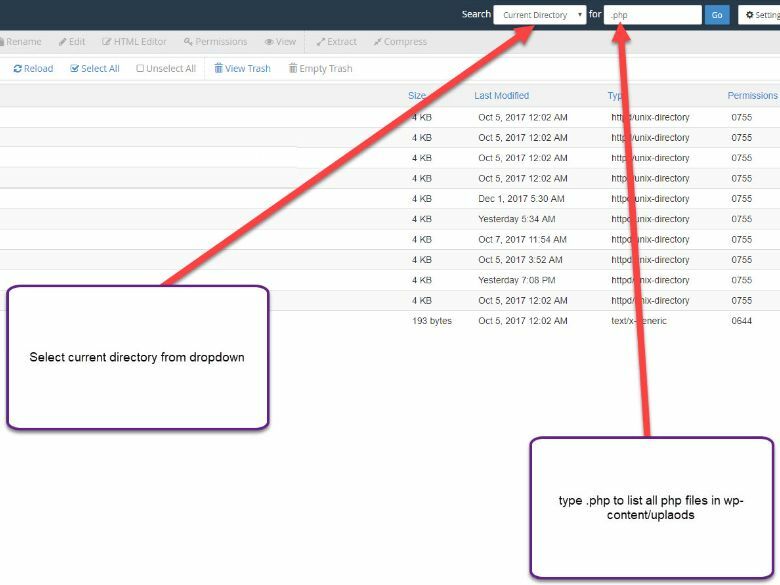 How to find and delete PHP files in a specific folder? You can do this with the cPanel file manager. Type .php in a search bar and select the current directory. The file manager will display all PHP files. Another way to discover PHP files in the download folder is to use Windows Search. 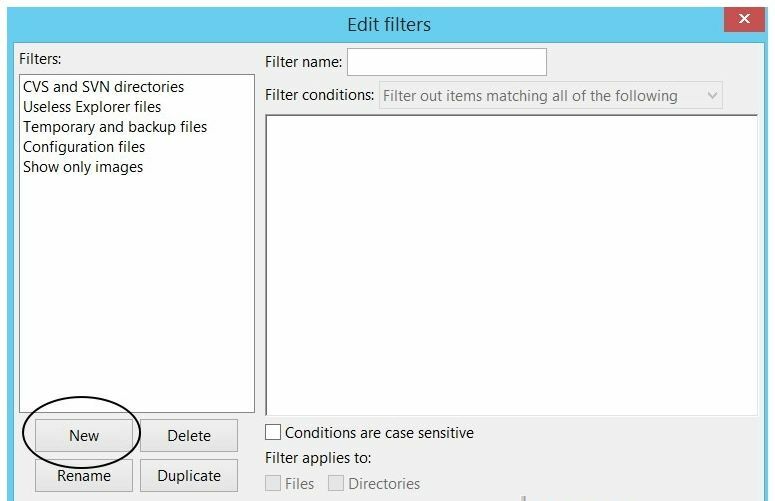 Download the “uploads” folder on the PC and use the Windows Explorer search to list the PHP files. After cleaning your wp-content folder and reinstalling the theme and plugins, also install a security plug-in named Anti-Malware and Brute-Force Security, then analyze your WordPress with this plugin. This plugin can detect many known threats and traps and correct them. It can also update your obsolete Tim thumb script. 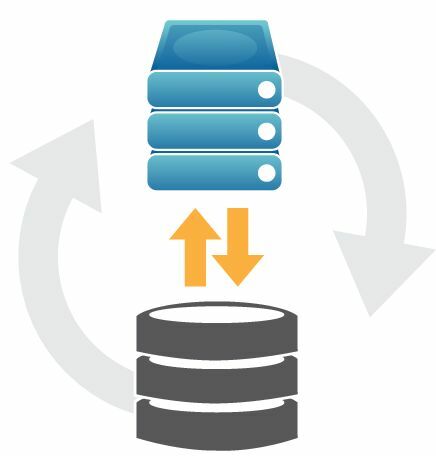 Your host may have a full backup system directly accessible via cPanel for example. Take the opportunity to get a complete ZIP of your site! The most likely way that WordPress has hacked is that it’s a plugin or theme and a vulnerability that it had. Or you have downloaded free of charge from unreliable sources. We must Scan & Detect Malware in WordPress Themes and make sure we download themes from the original source and replace the files in the folder with the name of the template in /wp-content/themes/ by the newly downloaded. If you made any changes directly to these files and did not use a child theme, you will lose those changes. If so, you will have learned how important it is to create and what the child theme is for. The next step is to repeat what we have done so far but with the folders that contain the plugins. We will have to download the clean plugins from their respective repositories and replace them. That is, delete the path /wp-content/plugins/ the folder of each of the plugins and copy the new files. An important measure that you must take is to change all the passwords that have relation with your web. Change the password of all users with administrator level. Change the access password to your hosting panel. Even if you do not make much use of FTP, change the password. And finally, change the password of the user of the database. If you use CPanel you will have to go to the Database section-> MySQL Databases-> Current Users-> Change password. Once you have changed it, it is important that you update it in the wp-config.php because otherwise, the web will not work when not connecting to the database. And take the opportunity to review this file looking for any line or text that is suspicious. It may also be the case that it has to modify it. This will save you from hacker attacks of testing dictionary words. Avoid any information that refers to your personal life such as a birth date, a department number. Nowadays, privacy is poorly protected on the Internet. Of course, use unique passwords for your different accounts. A password to govern them all and we have seen how it ends. If you are registered and your WordPress website has many users, click here. Some hackers register on your WordPress and execute malicious scripts exploiting any vulnerability of their theme or their plugin. You can use Stop Spammers to spam and delete them. Limit the risks by watching this video podcast to learn how to remove the WordPress admin account if your installation is old. By default, it is possible to test as many login/password pairs as you want to connect to your WordPress administration. 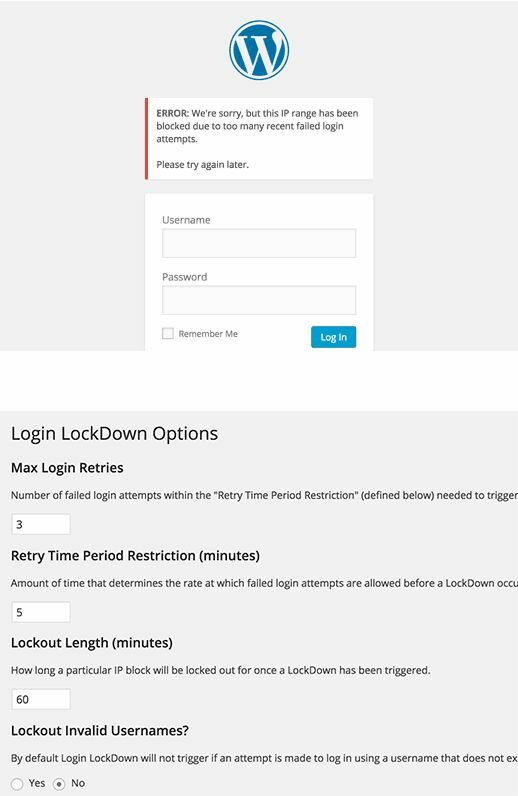 Login LockDown records the IP address and timestamp of every failed WordPress login attempt. After a certain number of attempts are detected within a short period of time from same IP range, then the login function is disabled. This helps to prevent brute force password discovery. So install the Login Lock Down plugin to restrict the number of attempts allowed for a certain amount of time. Upon activation, you need to visit Settings » Login LockDown page to configure the plugin settings. As you have suffered in your own flesh, WordPress security, despite being quite good, is not infallible . That is why it is important that you take time to apply several points of reinforcement for security. As a main point, you can install the best free and paid WordPress Security Plugins. We have included the most used and quite reliable WordPress security plugins that provides detection in real time. Maybe after all this journey of disinfection of your WordPress, the time has come to consider changing hosting. Contact your hosting provider first, if they cannot help you further in this regard then get a new more reliable hosting with better customer service. Indeed it is not true that the infection of your website has arrived due to the security of hosting, far from it. But everything adds up and a good server with well-established security measures is important. The most recommended method is to restore the site from your backup. Even if you have customised the theme, these backup files will help you retain your customisation. Install the recovery plugin and remember that to recover the site from a backup, use the same plugin that was used to back up your site and re-scan the entire website with our WordPress malware scanner. This can be seen if you access Search Console, from the Security Problems menu. Once you have cleaned up all traces of malware we can ask Google to reconsider the website using the Request a Review tool that you will see in the same previous menu next to the warning that your website contains malicious software. You should describe a small report of the measures you have taken and how you have solved the hack and send it. Wait to check your website and you will be informed via email of the result. If everything has been done well there should be no problem to remove the google Blacklist Warnings. As you may have seen, recovering a Hacked WordPress site that has been compromised and infected with some malicious code injection is not entirely complicated. 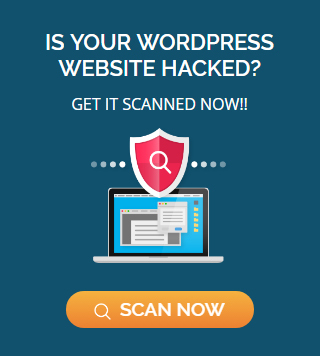 You will have to be patient and be careful with all the WordPress malware removal steps explained until you get to have your website clean and operational again. It is true that the infection may have gone a step further and have the code database injected. In this case, the recovery is more complicated because one would have to look for certain patterns that are used as malicious code, among all the tables. And it is also true that sometimes with these steps may not reach a complete cleaning and would have to get more artillery and a magnifying glass deeper to find where the problem. are usually solved with these cleaning guidelines. We do not want to end without commenting again on the importance of taking precautions from the beginning with security measures, through plugins, good server and common sense with passwords. And it would not hurt if you decided to hire WordPress malware removal services by professionals. Our WordPress security services includes malware removal, hack recovery, hardening, WordPress updates and more.